May sits in the New Orleans climatic sweet spot. It’s sunny and you can wear shorts on most days, but it’s (usually) not super hot yet. Come evening, when the thermometer starts to dip into the 70s, the air feels something like perfect. If you’re planning a trip to New Orleans this May, find your French Quarter hotel, and check out these big events you can enjoy during your stay. April 26 – May 5 The biggest musical festival in the best music city in the USA is one of the marquee events of the New Orleans calendar. For the last weekend in April and first weekend in May, the city hosts hundreds of bands and thousands of tourists, who stream into the Fairgrounds from around the world. Dozens of food vendors will show off the best of local cuisine, while artisans create and trade Louisiana crafts. On the days between the weekends, some of the world’s great musicians will be partying (and often, playing) at gigs all around the city. Jazz Fest is a giant event, but once you find your favorite stage and preferred food vendor, and sit down with a cold drink and the breeze blowing across the Fairgrounds, it can also be very intimate – a means of annually connecting to New Orleans at a deep level that is exacerbated by the warm spring sun. 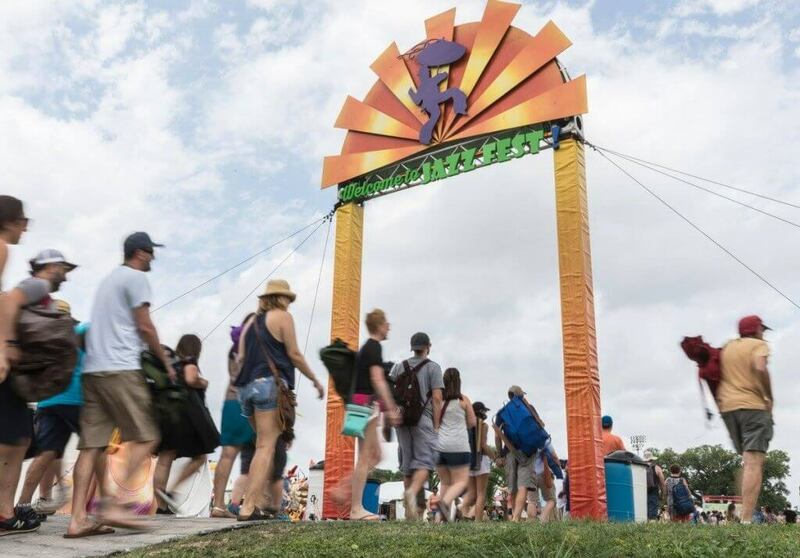 Jazz Fest is celebrating its 50th anniversary in 2019, and, new this year, there’s an extra day added to the fest, on Thursday, April 25. The Jazz Fest lineup is famously scheduled into “cubes” for attendees. So, find your cubes, and enjoy yourself! The 8th annual Crawfish Mambo Cook-Off, held on Saturday, May 11, at UNO (2000 Lakeshore Dr.) between 11 a.m. and 5 p.m., is billed as New Orleans’ largest crawfish festival. 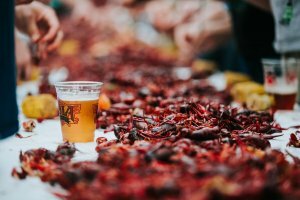 You’ll get to sample dozens of different crawfish boils cooked by teams competing for cash prizes, unique trophies and bragging rights. Get your hands on all-you-can-eat crawfish while Bucktown All-Stars, Johnny Sketch & the Dirty Notes, and Young Pin Stripe Brass Band will keep you dancing. The boils will again compete for the “Crowd’s Choice” Award, and the title of “Best of Boil” Champion in a judged competition. There are also the Best Decorated Booth Award and the crawfish eating competition (you can sign up here). Mambo is family-friendly and children 7 and under are free. Event parking is on the UNO campus, and it’s free. Tickets are $25 general admission ($15 for students with ID). New this year are the VIP tickets ($75), which include access to VIP tent, private restroom access, three drink tickets, complimentary food, and unlimited water and soda. The third annual culinary extravaganza will be held at Woldenberg Riverfront Park on Thursday, May 16, from 6 to 10 p.m. Top Taco features more than 40 restaurants and 40 spirit and beverage companies serving and competing in a variety of categories, including top creative taco, top traditional taco, top creative cocktail, and top traditional margarita. The event also features live music and a VIP area. Attendees will get to sample unlimited gourmet tacos and signature cocktails from some of the top chefs and mixologists in New Orleans. Tickets are all inclusive and include unlimited cocktails, tacos, tequila, beer, water, and soft drinks. General admission is $75, first-tasting tickets will allow an earlier entry, at 6 p.m. ($95), and VIP tickets are $125 and grant access to private lounges, exclusive tastings, dessert station, open bar, and more. This year, a portion of the proceeds will benefit Foster Nola, a non-profit dedicated to helping children in the city’s foster care system as they transition into adulthood. The Bayou Boogaloo has become as much a fixture on the festival calendar as its Mid-City neighbor, Jazz Fest, and the city’s street-party season opener, French Quarter Fest. What started as a gathering of a few hundred festival diehards has grown into an event that attracts tens of thousands of guests. Bayou Boogaloo is free. Its bucolic setting as a floating party, with its flotillas of inflatables, paddle boats and kayaks, gives the three-day festival its own unique character, while its stellar lineup of local and visiting musical artists rivals those offered by its much-bigger older siblings. So does its ever-growing menu of fest-worthy food and drink. This annual festival will again celebrate over the Memorial Day weekend Tremé and the 7th Ward as the bedrocks of indigenous art, culture and history, and some of the oldest and most distinct neighborhoods in the United States. The fest, known as T7, will kick off on Friday with the 10 a.m. tour of historic sites in both the Tremé and 7th Ward neighborhoods ($40). Also on Friday, a Baby Doll bar crawl will hit some iconic drinking spots like Bullets Sports Bar, Kermit’s Mother-In-Law Lounge, Lil People’s Place, and Candlelight Lounge from 6 to 11 p.m. Tickets ($40) include transportation, and attendance is limited to 40 people. Then, on Saturday and Sunday, head “under the bridge” (under I-10 between Basin Street and St. Bernard Avenue along North Claiborne Avenue) to enjoy some of the best music and food this city has to offer, including Shannon Powell, James Andrews, Kermit Ruffins & the BBQ Swingers, and more. The fest closes on Sunday with a secondline.